DEBORAH CROMBIE: Let's turn back the clock a bit, to Bouchercon 2014 in Longbeach, California. I was lucky enough to snag a galley of a debut novel called PAST CRIMES by a writer named Glen Erik Hamilton. It was one book out of many accumulated at the conference, but I was intrigued by the synopsis so I picked it up first. And, continuing our binge reading theme from yesterday, I read it as straight through as I could manage. Then I said, "This one is going to be a winner." And now it's nominated for an Edgar for Best First Novel and I am patting myself on the back!! So of course I was thrilled to read the second book in Glen's Van Shaw series, HARD COLD WINTER, which is out today. It does NOT suffer from "sophomore slump," let me tell you. It is, if anything, more unputdownable that the first Van Shaw book, and this is now my favorite new series. 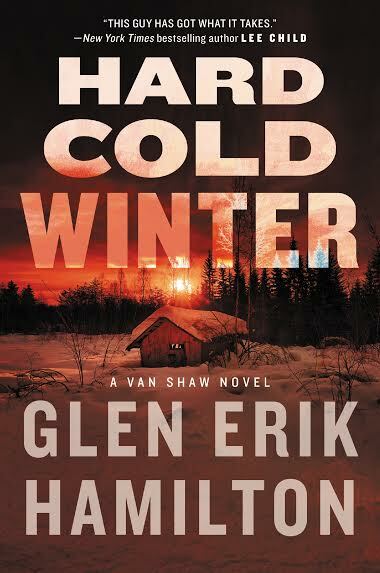 Here's a bit about HARD COLD WINTER: Former Army Ranger and thief Van Shaw is thrust into a maelstrom of danger as lethal and unpredictable as the war he left behind in this emotionally powerful and gritty follow up to the acclaimed Past Crimes. When an old crony of Van's career criminal grandfather calls in a favor, the recently-discharged veteran embarks on a dangerous journey to the Olympic Mountains, in search of a missing girl tied to Van's own felonious past. What he discovers taps into dark memories, leaving Van vulnerable when an avalanche of trouble hits. A fellow Ranger from Afghanistan appears on his doorstep, desperate for help. And as the investigation heats up, Van finds himself caught between a billionaire businessman and vicious gangsters, each with different methods of playing dirty. And here's Glen to tell you how he tacked the challenge of the SECOND BOOK. Less than three years ago, I was an unpublished writer with a shiny new manuscript, having his very first conversation on the phone with the woman who might, if I were very fortunate, offer to become my literary agent. One of her starter questions was: “Is this book the first in a series?” I assured her that it was, and I had hopes for that series to be a long one. That was partly a practical decision: Series sell better. But there’s also the creative advantages. I loved and still love the idea of gradually assembling a large cast of characters over time, and having them bounce off one another in different combinations, and with different conflicts. That conversation was nerve-wracking (for me), encouraging (from her), and ultimately successful for both of us. We sold that manuscript as part of a two-book deal within a handful of months. My debut PAST CRIMES came out one year ago, the follow-up HARD COLD WINTER is about to hit the stands, and I’m hip-deep into writing my third. Volumes have been written (even second volumes!) about the challenges of writing a second book. Meeting both reader and publisher expectations. Reintroducing your characters and settings economically. Going bigger, getting better. Just considering all of those hurdles can make your knees shake. So let’s Ac-cent-tchu-ate the Positive and talk through a few questions. I wrestled with these demands while drafting HARD COLD WINTER. Answer them for yourself, and you’ll have some foundation blocks for your next brilliant effort. Is this Book Two, or Act Two? If your novel is Book Two of a long series, you have some flexibility. You can revisit themes, allow for new characters and slower character growth, and even expand on the world-building you started in Book One while your heroes and heroines are jumping through the hoops of the plot. But if your series was conceived as having only three or four books, then you better get on with that larger story in Book Two. Big obstacles, new goals, and the classic Dark Night of the Soul for your protagonist, setting up the climax in the final entries. Acts Two are infamous for the difficulty of having no beginnings and no endings. Beat that problem. Introduce a major twist that forces characters (good and evil) to re-evaluate the game. Kill off someone your readers might have thought essential to the climax. Defy some of your own expectations. This seems like an obvious answer (Change is conflict! Conflict is good! Characters must have an arc! ), until you consider how many protagonists remain largely the same during long series. Miss Marple. Spenser. Jack Reacher. The world around them might mark time, but our heroes just keep on keeping on. That’s both limiting and freeing. I know Spenser’s not going to die. I know he’s not going to reach an age where thrombosis is a bigger danger to him than thugs. But Boston is not the same city it was in the early seventies, when that ex-heavyweight boxer first climbed into the fictional ring. The Spenser of today has a smartphone and knows his way around the internet, like any good P.I. He doesn’t change much, but he adapts. To What Are Your Readers Looking Forward? Here’s the big one. By the time you’re feverishly working on Book Two, you may already have some feedback on your Debut – from friendly readers, keen-eyed editors, and maybe even reviewers. What stuck with them? What did they love? It’s great to hear praise, but it’s also critical to listen to it. Because those bits of candy are what’s going to bring your readers back, hopefully again and again. Note that lesson doesn’t mean robotically repeating the same action scenes or romantic flirtations (this is the tricky part, people), but building on them – adding a chocolate coating to the candy. This also doesn’t mean serving up anything and everything your audience is clamoring for. To quote Joss Whedon – who knows a little something about an impassioned fan base -- “What they want is different from what they need.” And what readers need is to watch their heroes and heroines struggle, overcome, and struggle again. No rest for the valiant. No happy endings, at least not without many more adventures. Many more books. For the JRW Hosts, and other Writers – When starting your second novels, did you already have the questions above answered? Were there other concerns that made you step back and consider the direction of the overall series? For Readers – Do you like it when heroes and heroines change significantly over time? Or do you prefer your lead characters to be the eye in the hurricane around them? DEBS: What a challenge, REDS and readers! Tell us what you think! I particularly enjoy reading series books . . . seeing how characters change as time passes and life happens feels right. But the larger-than-life protagonists, like Jack Reacher, need to be as I expect them to be when I pick up the next book in the series. I suppose it must be a bit of a juggling act for the author to decide what character changes should occur and what must be intrinsic to the character, but that’s part of the pleasure of reading series stories over time. Like Joan, finding a new series is such a treat--the expectation of many books to follow is wonderful! Even when you know the protagonist isn't going to dramatically change, like Spenser, you still find out new things each book--see their reaction to and interaction with new characters and new situations, for example. As a writer, sometimes a series takes you places you never imagined when you started the first book. In a series I did, what seemed to be several separate adventures with the same characters, turned out to have threads woven through them that kept demanding my attention, until now the original stories are embedded in a larger story arc. I look forward to meeting Van Shaw! I so remember writing book 2... and thinking: Whatever made me think I knew how to do this? And then reading about authors' "sophomore slump." We make ourselves nuts. And I love the questions you raise, Glenn. Sue Grafton just kept her books anchored in the same decade. Another issue, if you set each new book in the fictional "present" is whether to include actual events which will eventually date the book. I do like -- NEED the protagonist to change across books, but having said that I hate it when the author seems to manufacture personal crises (wife killed book 1, mother killed book 2, brain tumor book 3, addicted to amphetamines book 4...) that feel like bald attempts to gin up the plot. Glen, this is a wonderful post--and aren't you fortunate to have reached the top of Deb's "love" pile! I have to say I still had no idea what I was doing as I took on the second book. (Which was actually the third, and the book that sold my golf lovers series was shelved by my editor.) I can't remember even *thinking* about your very smart questions! And I love the reminder that what readers' want may not be what they need. I do very much listen to feedback--which characters people enjoy that I never imagined taking a bigger role, which conflicts seem simply annoying, etc. Congratulations--you have a wonderful start to your career and can't wait to read these books! Oh, and ps, sometimes in this publishing climate, a writer will have no idea how many books there will be in a series. Welcome, Glen! And congratulations… So exciting! I'm in a car on the way to a computer… So more to come. But I so agree about book 2: it's a moment where a new author faces the reality that they are not "new "anymore. Which is of course the wonderful news, but also the scary news. 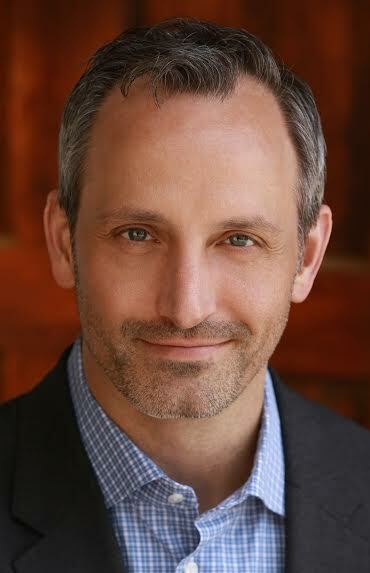 Thrilled to see Glen here on JRW's today. Congrats on the Edgar Nomination. As for characters, like Hallie, I really need that change to happen. With the exception of the Christie characters and Sherlock, I can't think of a series I enjoy where there is not character growth happening. It doesn't need to be life-changing alterations, but people do learn from their experiences (and that should be reflected in series writing). I'm hoping to get a review of Past Crimes up on the blog shortly - I expect the Edgar is likely the first of a few award nominations for the book. I just ordered both Van Shaw books. They sound fabulous (and with Debs' endorsement, I'm sure they are). I want characters to change. Even though I may briefly enjoy a Reacher or a Stephanie Plum, I find myself no longer seeking them out after a few (at most) books because they begin to feel cartoonish. Okay! At my computer. SO, yeah, I agree about change..but. But. HOw does a real person change? Gradually, usually. There may be an external change,some life-crashing event that makes them alter their state of being, and that's the action part of a mystery or thriller. But internal change, that's much more difficult. We are who we are, and readers like our characters initially because of that, flaws and all. So SO Jane is not suddenly going to become a person who desperately wants children, you know? She might gradually grow to that (hmmm...) but it wouldn't happen in one book. So the challenge is to come up with a learning moment, right? People always ask me, for instance, will Jane and Jake get married. Well, how do I know? They've only known each other for a year. As for book two, it's book 2 for each series, no matter how many other series one has, because that's when you really have to delve into the life and see who you have. My philosophy was to give it absolutely all I had for book one. Which becomes intimidating when faced with book two. But how wonderful to be able to have a book two, right? Yes, Hank, it's important that the timeline of the change is realistic. Some series move very slowly forward, while others skip along with more passage of time between books. I don't need major changes, I just need to see that the actions of the previous book altered them in some way. Let's face it, Miss Marple is pretty much the same from the first book to the last. Similarly, my sense is that Jack Reacher is still the same man he was in the first few novels (I can't say for sure, since I stopped reading them at some point, but he's still traveling from town to town saving the world). So, no. Seismic changes would be jarring, but evolution is natural - especially if someone went through what they go through. It's hard to relate this to "real" people because most real people don't have the experiences of our favorite characters. These are great things to think about, Glen. I'd pretty much answered questions 1 and 2. Question 3, well, I have feedback from my critique group, but I don't think that question will be completely answered until if/when the book(s) reaches readers. I do like the characters to change (the amount of change probably depends on the weight of the character). But like Hallie, I hate crises that are manufactured just to "up the stakes" on the story. Give me organic, significant change every time. And it doesn't always have to be earth shattering. Sometimes small changes are the most significant. Van sounds like an interesting character. More for the TBR list! I remember facing my second Molly Murphy novel and realizing what an enormous task lay ahead of me. In Murphy's law I had been so focused on getting Molly through Ellis Island and now it struck me how little I knew about New York in 1901 and how much research lay ahead of me. Now after 16 books it's a little easier! On my list, Glen! Both of them! It was good to see you at Left Coast, Glen. Congratulations on getting past number 2, and on to number 3. As both a reader and writer, I like to see characters develop, mature, change as a result of lessons learned. Like Glen's PAST CRIMES, my first novel got a lot of critical attention. For me the scariest part of working on the second book was wondering what I had done right the first time! Could I replicate it? Was I a one-hit wonder? The answer turns out to be the same for the second, third and every subsequent book: write the best story you can, and the rest will fall into place. As both a reader and a writer, I very much like to see characters develop over the course of a series, although, as Hallie said, I'm not fond of "manufactured events." However, if you write a long enough series in which the characters do grow and develop, they are going to have to deal with some life issues. I knew even before my second book that I wanted to write a long-running series, and I knew I wanted time to be fluid. Thank god, because I'm still writing about these characters more than twenty years later and if I'd set the books in real time, Duncan would be toddling off to retirement... There has been cultural change, but I have in general tried not to date the stories with specific events. There are a couple of exceptions and in retrospect I'd rather have not done that. You've done a great job on the slow reveal in the first two books. There are still critical things we don't know about Van's back story and about his relationship with his grandfather. I can't wait to read the next book! I like the natural progression of change in a character. It's also one of the main reasons I'll go back and read a series from the start just to watch that progression, especially when I've picked up a book mid-series and the writing is so good. Have done this with a number of authors. The JWR group: I've read each series from the start. Am always tempted to go back to the beginning of Russ and Claire and Gemma and Kincaid as it's been so long since the first novels: hint, hint! Off to obtain your first book, Glen. And congrats on the 2nd; if Ms. Crombie says it's more "unputdownable" than the first, I believe it. Glen, hi! Fancy meeting you here. :-) Congrats on your book birthday! I struggled with one of my main series characters in book #2 (Whispers in the Mist). With Merrit. She didn't feel necessary to the story--what could be more sad than that?!? But then I realized that not every series character is going to have the same weight in every book. It's like you mentioned -- it's a world and characters will come and go. Book #2 is more detective Danny's story than Merrit's. Funny thing, once I got clear on that, *then* Merrit's subplot became clear too. I wish I could say it gets easier, but I'm staring at book #7 and _still_ feeling panic-y... But that's not necessarily a bad thing. Adrenaline is good. Adrenaline plus research plus coffee = book! Lisa, good point, characters fade in and out as the books progress. And also some books are darker and others are light--this seems ok too, as long as we're following our characters and not forcing action on them. I've worried about that, Lucy -- whether I need to maintain the same tone through all the books. As some readers described -- KILMOON was "moody." Glad to know that I don't have to remain forevermore as moody as that! Whew -- I'm not the same person I was when I started that book eons ago ... Writing a third book now and feeling a tad insecure about how I'm changing over time. But what can we do, right? Speaking as a reader I prefer to see the characters change over time, just like we do. It doesn't have to be dramatic. It is like making a new friend. You gradually get to know all kinds of things this person has done and experienced in the past. You understand why she/he reacts certain ways in certain situations. And then you wonder what the heck? when he/she surprises you by not being predictable. I will definitely be reading your series, Glen. Congratulations on the Edgar nomination! I read a lot of series, and like most before me have said, I like to see characters grow and change over time. But there is one pitfall I've seen a few good authors fall into that really annoys me. It is perfectly possible for characters to grow and change and have conflict and stress in their lives AND STILL EXPERIENCE HAPPINESS. There is one famous and well respected series writer in particular with whom I've fallen out of love because I just feel that she cannot allow any main character to be happy for more than brief periods. It gradually began to drain my experience of reading that series! Whereas many wonderful authors like Deb Crombie, Margaret Maron, Julia Spencer-Fleming and many, many others have characters who grow and change, and go through realistic challenges and heartaches, but can still find some happiness and meaning in their lives. After all, I spend a lot of time with these fictional characters and I don't want it to be a constant downer! Congratulations on your second book's pub day, Glen--and on the Edgar nomination! Thanks to Debs for recommending your books. I've ordered them and am looking forward to catching up whenever I get a breathing space. Like most of us, I like to see characters change and grow realistically over time. I don't like it when they remain static, except for Miss Marple, Poirot, and Sherlock. Even the larger-than-life characters, such as Jack Reacher, need to show that the events and traumas of each book have some kind of effect on them. As far as time goes, I know in my own series I've made it a little amorphous, set in the first decade of the 21st century and moving a little more slowly than real chronological time does. And I tend to avoid adding specific topical detail, such as news events, to avoid dating the books. Congratulations, Glen on your Publication Day today for book #2 and your Edgar nomination for book #1. With all the endorsement from Debs and others, they have to go on my TBR and wish lists. Sharing the process of writing a second novel was fascinating and a little terrifying. Thanks for giving us an inside glimpse at that. I often find that there is a honeymoon period for the main character(s) of series, in which the first book or two finds the character being established as to career and friends and family. Then, the hard work comes for the character where he/she has to deal with past demons or evolving issues. I like this progression, coming into a character's life where it's beginning to get complicated personally. I'm at a point in reading a series now where the character is hitting rock bottom in book 3, building upon developments from books 1 and 2, and the character will have to make choices that determines much about her future. And, oh, that conflict of change. It is good indeed. Oh, and addressing the point of character changing significantly over time. I believe that most characters have a true core that, through events and relationships, emerges and takes hold. So, I'm not so sure I'd call it a significant change as a significant realization. After all, as a reader, I'm drawn to a character in the first novel of a series because I like that core of who they are. I think it sometimes takes a while for the character to come to terms with who they are or appreciate who they are, and that's always interesting to see. Thanks so much everyone for your fun comments and your congratulations! I'm delighted that this topic sparked some good thoughts. Great to meet you at The Book Carnival. I enjoyed your comments and insights. Per your instructions, I will be reading your series of two books "in order" and waiting to see how "fast" your characters age. See you at the signing for the next book.